Parts of the Rio Grande Valley could see isolated showers today as temperatures remain in the 60s and 70s, according to the National Weather Service in Brownsville. 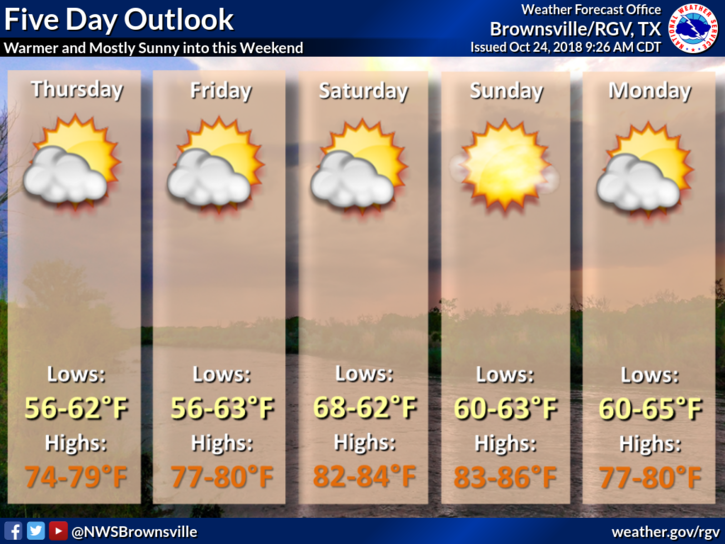 Lows should remain in the 50s and 60s, with highs around 80, until Saturday. Afternoon highs are expected to reach the mid to upper 80s through the weekend.